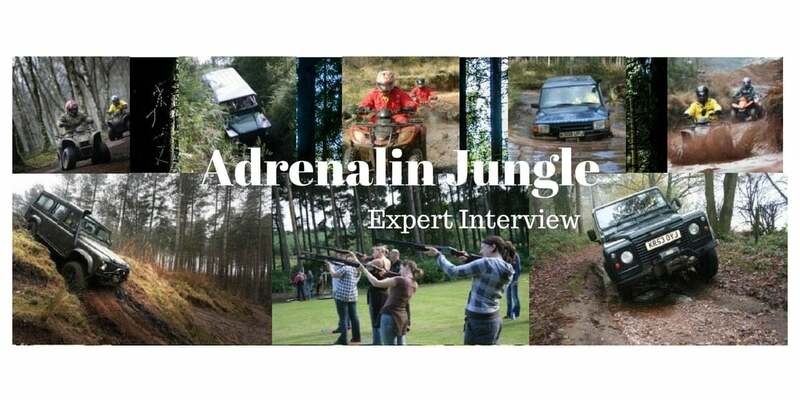 Experience the thrill of riding a quad bike through 150 acres of Sherwood Forest with a friend or loved one. You will be guided by expert instructors around the varying and challenging circuits. Experience the thrill and adventure of riding a quad bike as you and a friend explore 150 acres of Sherwood forest lead by an expert guide. The experience is designed to keep every rider, regardless of previous experience grinning from ear to ear thanks to 6 huge circuits with a wide range of obstacles and features. You will be shown how to control these fantastic versatile machines by expert instructors before testing your skills on the course.Your experience will begin at the large base camp where you will sign in and be kitted up with your safety equipment. You will then be lead out to the quads for a short safety brief and demonstration of their controls and basic riding techniques. Now the real fun can begin as you start the 30 minute adventure on the first of 6 woodland circuits of ever increasing difficulty. Your experience will draw to a close back at the centre where you can change and hand back your kit. This experience is available at weekends, though weekdays bookings can be taken if the minimum of 6 participants are booked. All bookings are subject to availability. Minimum age: 12 (12 -17 require adult supervision at all times) 18+ can ride without any supervision. Please allow 1 hour at the centre. Participants: The Quad Bike Adventure - For Two is for 2 participants. For mixed groups the maximum number is 8 people per session. For exclusive group bookings, you will need a group size of 10. Spectators are welcome but due to the nature of the activity their viewing scope may be limited. Please wear clothing suitable for the weather that you don't mine getting wet and muddy. Strong, supportive shoes are recommended. The event can be effected by adverse weather. Please call the centre if in any doubt. Got this as a 30th birthday present and I was so nervous at first as I've never done anything like this before. The staff are so warm and welcoming and put you at ease right away. The off road tracks were great, will defo be going back. What an excellent experience this was. It was well organised and from start to finish everything went smoothly. Lots of fun and I would thoroughly recommend it. Fantastic time spent in Sherwood Forest. Real challenge, staff and equipment were excellent. We booked this for dad's birthday and had great fun driving through mud, water, up and down hills and whizzing across flat areas too! Not forgetting the woodland trails and the squirrel that landed on my handle bars! A really fun afternoon that we would all highly recommend. Staff were very friendly and helpful too. We all had an excellent time and would definitely do it again, the only complaint i had, was that it was too short. How long does the Quad Bike Adventure - For Two last? The Quad Bike Adventure - For Two lasts around 1hr. How old do you need to be to partake in the Quad Bike Adventure - For Two? The minimum age for the Quad Bike Adventure - For Two is 12. Please note that anyone aged between 12 - 17 will require adult supervision at all times. What power are the quad bikes I'll be riding in this driving experience? The quads are 150cc for over 16's and 90cc for under 16's. Where is the Quad Bike Adventure - For Two located? The Quad Bike Adventure - For Two is located in Nottingham. You can view the location map on the product page where you are able to zoom in on the pin drop. Would each person get their own quad bike when taking the Quad Bike Adventure - For Two? The Quad Bike Adventure - For Two will provide each participant their own quad bike. Is this activity suitable for six people? Yes, you can book the Quad Bike Adventure for up to 10 people (subject to availability). How do I find out if a date is running before I purchase the voucher? If you have any particular dates in mind, we can always check these are available for you prior to purchase. If you could please either provided these dates by e-mail or ring us on 0845 862 9911 we would be more than happy to find out availability for you. Do you follow an instructor on the Quad Bike Adventure For Two? You would be following an instructor whilst on the Quad Bike Adventure For Two. Does the Quad Bike Adventure - For Two run in the week? The Quad Bike Adventure - For Two can run in the week (excluding Mondays) as long as you have a minimum of 6 people. You might be able to book with less but will still be required to cover the cost of 6 people.